Scientists, led by researchers at Washington University School of Medicine in St. Louis, have identified brain networks involved in a baby’s learning to walk — a discovery that eventually may help predict whether some infants are at risk for autism. Scientists have identified brain networks involved in a baby’s learning to walk — a discovery that eventually may help predict whether infants are at risk for autism. The findings build on previous research that has shown that babies who have delays in developing skills involved in coordination and movement are more likely to be diagnosed subsequently with autism spectrum disorder. The new study by researchers at Washington University School of Medicine in St. Louis and other scientists is available online in the journal Cerebral Cortex. In brain scans and motor skills evaluations of nearly 200 babies, the researchers unexpectedly found that part of a brain network that operates in adults when the brain seems to be doing nothing is involved in learning to walk and control motor functions. This network — called the default-mode network — is active during sleep and daydreaming and when a person is thinking about one’s self and one’s environment, including that individual’s social ability, which is disrupted in people with autism spectrum disorder. Previous research has shown that people with Alzheimer’s disease and autism often have disruptions in the default-mode network. Marrus worked with colleagues from the multicenter Infant Brain Imaging Study (IBIS) network, performing functional brain scans on 187 young children while they were sleeping. They scanned the children near their first birthdays and again about a year later and evaluated gross motor skills at those same times. “Understanding the early development of functional brain networks underlying walking and motor function in infancy adds critically important information to our understanding not only of typical development but also of a key deficit that appears early in the development of a number of neurodevelopmental disorders, such as autism,” said Joseph Piven, MD, one of the study’s co-senior authors and a professor of psychiatry, pediatrics and psychology at the University of North Carolina. Some toddlers in the study had an elevated risk for autism because they have siblings with an autism diagnosis. Autism spectrum disorder is, in part, a genetic condition that runs in families. In the general population, about one in 68 children is affected, but the odds rise to one in five when a sibling has an autism diagnosis. The researchers also found that between a child’s first and second birthdays, brain networks linked to walking change. 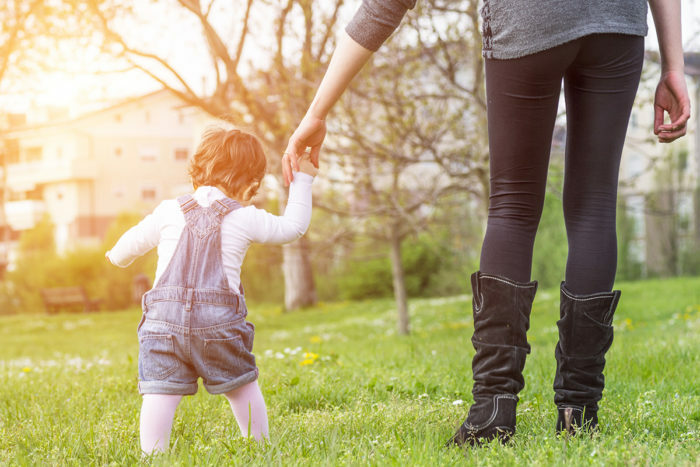 At 12 months, stronger connections between the brain’s motor and default-mode networks were associated with better walking and gross motor skills. By 24 months, brain networks linked to attention and task control also had become engaged in walking and gross motor skills, the research showed. It’s possible that the brains of children who go on to develop autism are not as adept at making those network connections and processing that data, the researchers said. As the study continues, they plan to look for faulty brain connections that may be red flags for autism risk. Children in the study were evaluated at Washington University School of Medicine in St. Louis, the University of North Carolina, Children’s Hospital of Philadelphia and the University of Washington in Seattle. The IBIS network’s data coordinating center is at the Montreal Neurological Institute.